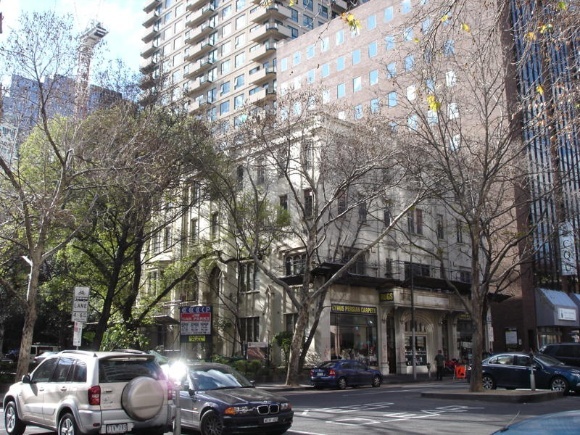 The Princess Mary Club at 118-122 Lonsdale Street, Melbourne is again under threat of demolition. 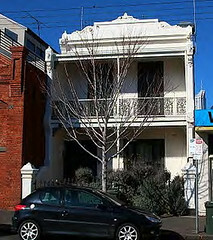 Constructed in 1926, the Princess Mary Club is a culturally and historically significant part of Melbourne’s heritage. It is a rare surviving example of a 1920s hostel which was created for young women coming to work and study in the city, enabling a greater inclusion of women in Victoria’s workforce. There is a currently a proposal to demolish the building, and several surrounding buildings, and replace them with a multi-storey (33 levels) mixed use building. The petition protesting the demolition is here. There is currently a campaign to save the building that is being run by the Wesley Historic Precinct Action Group and Fiona Patten MLC are working together to present a counter-proposal for the site which would save the Princess Mary Club. MHA will writing an objection to the proposed development. To show your support please sign the petition here. Please save The Princess Mary Club. I have fond memories of visiting my friend who lived there for a long time, as she was from the Broadford Area. It is a beautiful building & should be preserved. Not pulled down. Please save the princess marry club. I to in 1984, I was a young 17 year old from new south Wales that spent a year of wonderful memories in this beautiful building as did many before me. 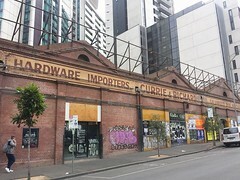 It should be keep as a historic pecie of history in Melbourne not be ruined by modern society. Please save this inscribed building. Don’t pull this old lady down, beautiful 20,s Gothic architecture ,she has a future and adds grace to the street, preserve the good! The Uniting Church can be contacted direct about this – Paul Walec is their Director head of Property and the head of the Church is the Moderator. Check out the UCA website. He’s at 130 Little Collins Street Melbourne. This building is an essential, irreplaceable and beautiful oasis in our postmodern city where more and more ugly, impersonal form-following-function projects obscure this wonderful heritage. It enriches the cityscape and the people who inhabit it. Do not destroy it. Please save the little heritage buildings we have left in this world class city. It is absolutely outrageous that this building would be demolished! Culture and history mean nothing anymore!!! 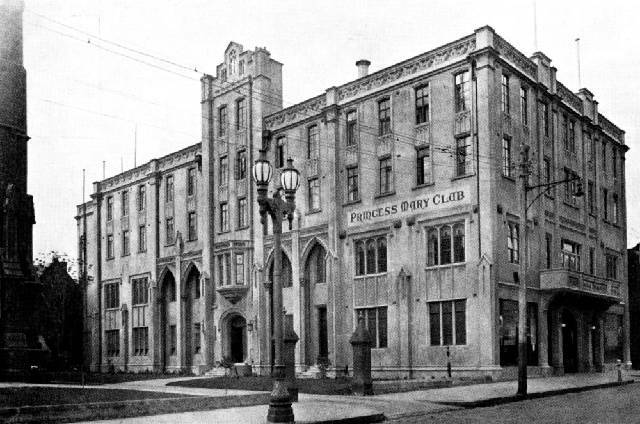 I lived at the Princess Mary Club during my first 2 years at university. I was one of those country kids who needed a nurturing, safe and reasonably cheap place to live when I moved to the Big Smoke. Like most of us, I was wet behind the ears, friendly toward everyone and could easily have fallen prey to loneliness and disorientation, Rural girls were among those most likely to fail at university and suffer sexual assault. I thrived. The Club played a very large part in that. The need for this type of accommodation for young people moving from rural communities to work and study in the city has not gone away; only the accommodation has left. 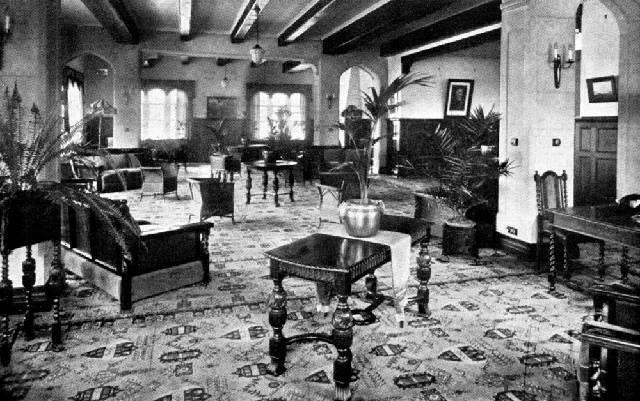 It would be great if the Princess Mary Club could be restored for accommodation. The cost would be excessive for the Uniting Church, which has many charitable commitments. A good case could be made for substantial assistance from the State and / or philanthropic sources to restore the building on the basis of its potential service to young rural people as well as its cultural merit. Richard Wynne please save the Princess Mary building as it represents architecture that is part of our beautiful city’s heritage. We want our city to be recognizably Melbourne rather than to appear as just another ordinary modern western city. No no no no.. This can’t happen! I was a resident there in 1984-85 from Brunswick Heads northern NSW. I came to stay here so I could attend Hairdressing college in Flinders Street. The building need repairing not removal. It should continue its fine tradition of offering lodgings to people out of town. This is a beautiful old building that has so much history. Oh if those wall could talk! I in fact have just returned to Melbourne after nearly 30 years to live. Where was the first place a went to show my daughter but the Princess Mary Club. Lifelong friendships were made here, memories were made here, careers were made here, and history was made here… Don’t take that away from us or take that opportunity to create those exact same things from the future people who stay here. Only a cursed soul could demolish a neo-gothic building! I lived at The Princess Mary Club in 1961, as I came to Melbourne from Gippsland with other friends to attend The Emily McPherson College which we could walk to from there. The Princess Mary Club provided us young country girls a safe and secure home in Melbourne which was quite daunting for us.We all have some wonderful memories of a time which makes history today. How tragic to think of demolishing this building which is not only such an important reminder of our cultural history, but is such a charming a very architecturally significant building. The demolition of this building would also deminish the charm of the church. The two building belong together. Surely there is a solution. I am willing to help in any way I can to save this important part of Melbourne’s history. I also lived here, wonderful place ,great memories, please don’t pull it down. Is the PMC still standing now?? Unfortunately it no longer stands. It has been demolished and they have archaeological sites being dug up atm. here are a couple of links with photos of what I can see from my office. Thanks for those images !